Consistent reproduction of hue, saturation and brightness, print after print, is the promise we've built into our Inkpress Pro assortment. Your images come into their own with our media. "...my customers love the look of the Silky and Gloss papers. 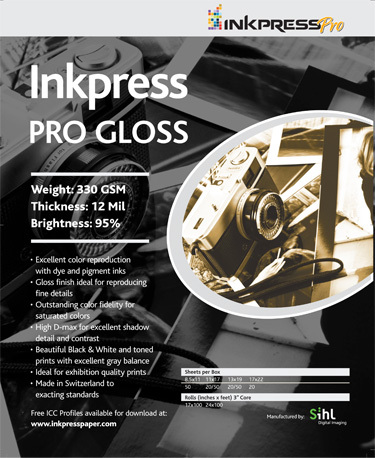 I've used a number of different papers, but none beat the quality of the Inkpress Pro media."